AboutSmallClaims was formed to offer a unique reference point on how to make or defend a small claim. 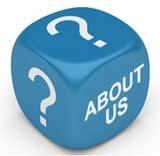 AboutSmallClaims was founded by John Rowlinson, the founder of PtS. John, through PtS, is involved in a number of ventures including software and property companies. A percentage of revenue from these activities goes towards funding AboutSmallClaims and a number of similar sites.